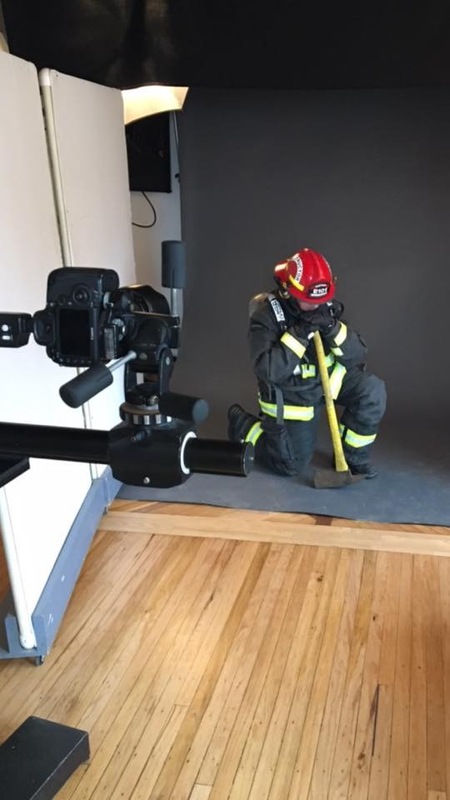 What a great day for all Firefighters as we do the photo shoot for the image the Manitoba Fallen Firefighter Memorial. The model for this memorial image is Winnipeg Firefighter Ed Wiebe. Ed was badly burned in the Gabrielle Roy Tragedy where we lost Fire Captains Harold Lessard and Tom Nichols. Brother Wiebe is doing this in the memory of our two fallen Captains and all Firefighters injured. RIP Brothers/Never forgotten.